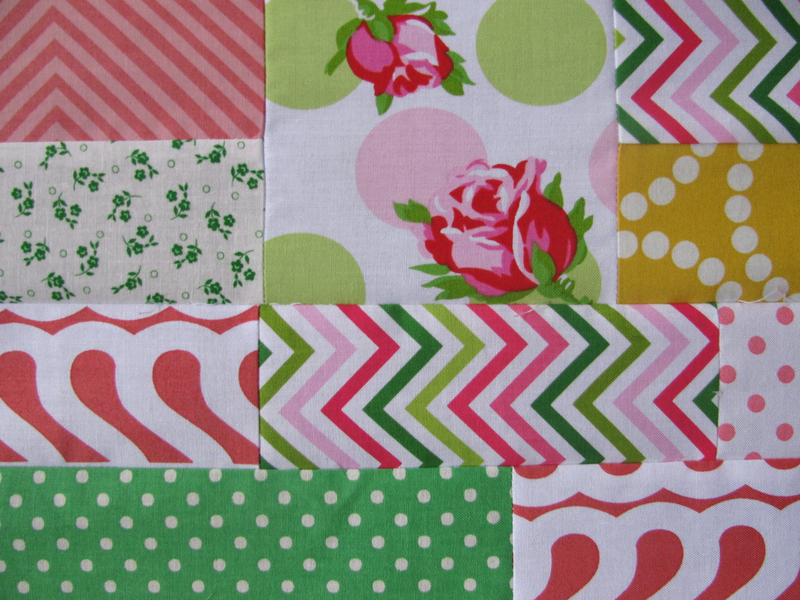 I have started piecing the rose quilt together. I am assembling it together with different size bricks and blocks and still have a long way to go. Do you ever have a day where your brain is just shut down? Mine wasn't firing on all cylinders today. Do you ever sew two sections together incorrectly, pull out the seams, only to restitch it incorrectly again? That was me. The seam ripper and I were best buds today. Here's to happy and seam ripper free sewing! LOL I have to say that that happens to me more often than I like to admit. Love the colors in this can't wait to see what the overall design will be. Haha, yes, I have done that!! Your quilt is coming together beautifully. Are you improvising or following a pattern? 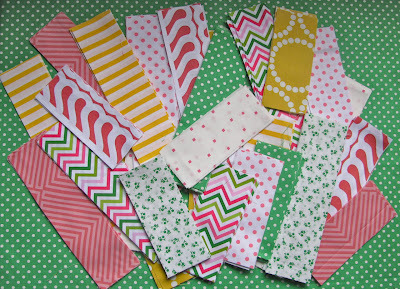 Great fabrics, this is going to be a beautiful quilt. Yep, I've done the same thing with a seam many times! Glad I'm not the only one! Looks to be a very pretty quilt. That was my week too. 30 blocks and I unpick them all…But, I'm so glad I did. The quilt is much better now. 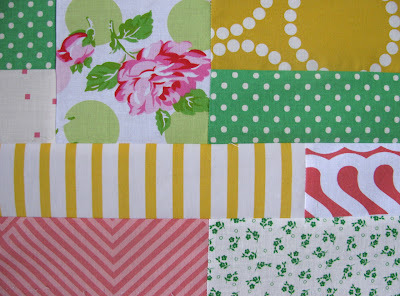 Love your fabrics--I'm making a quilt with similar colors at the moment and it's fun to see how your in coming along. UNsewing--my specialty! Yes, I have done that many times. I usually come back another time. Looks great. 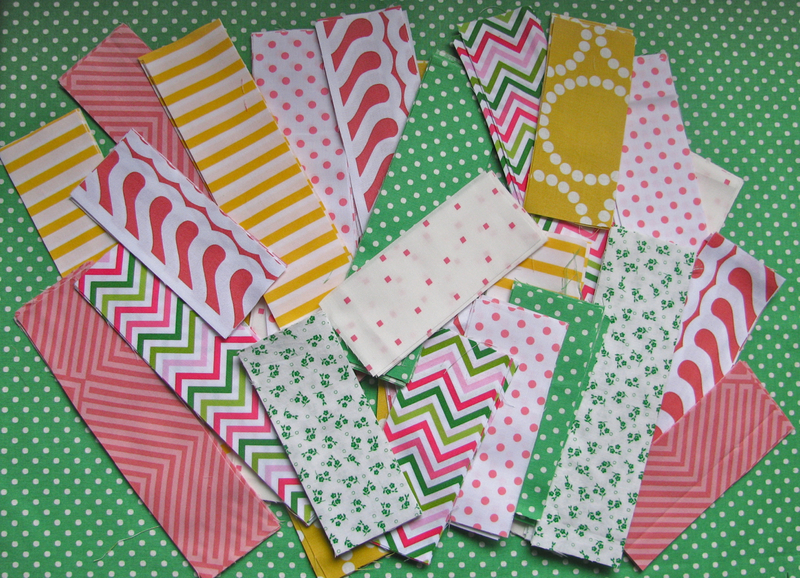 And love that zig zag fabrics in this one, too! 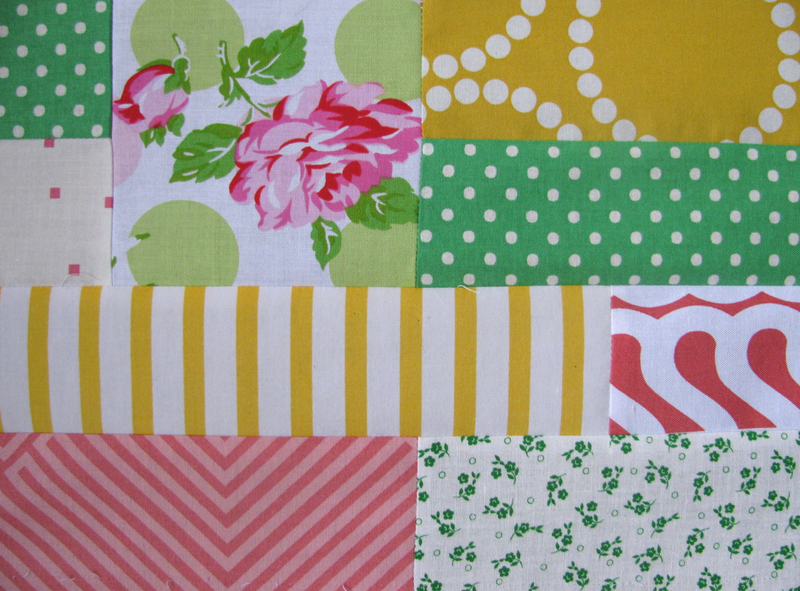 I'm hearing you - I've just put borders on my mystery quilt (I'm calling it the misery quilt) and one is the wrong way around - it is a side border so I have to unpick the top and the bottom (at the start) then the side and resew all!!! I have done that more times than I can count. Sometimes it is best just to go to bed and start over the next day. I love the fabrics in your quilt. I did that with a purse I made last week! I love the fabric in your quilt! Love the fabric you're using. I think it's going to be a wonderful quilt. Can't wait to see it finished. I can't count the times I have taken something apart and then promptly sew it back together wrong again. Yours looks great!